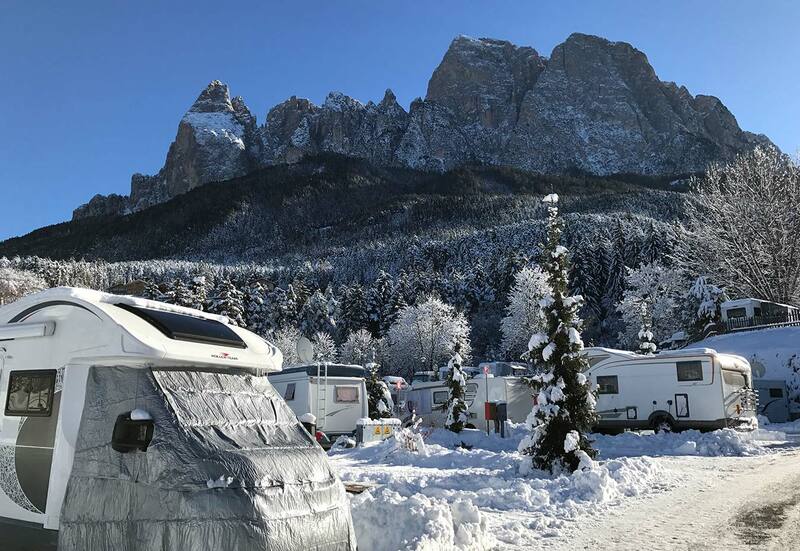 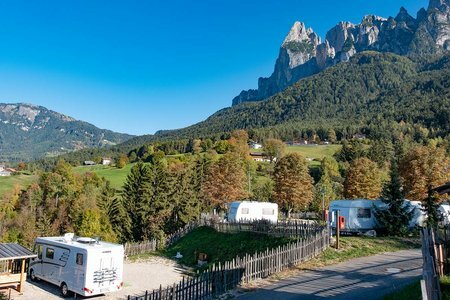 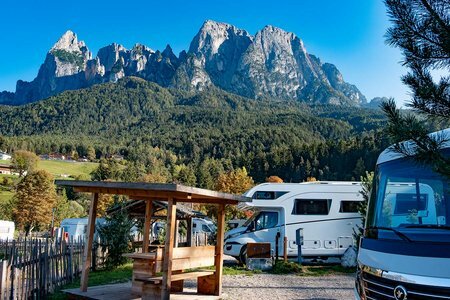 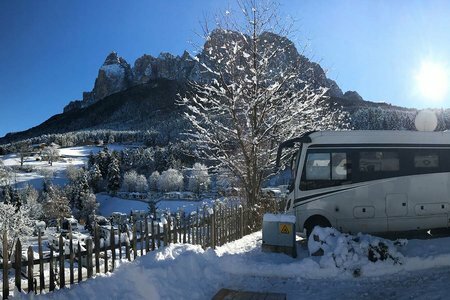 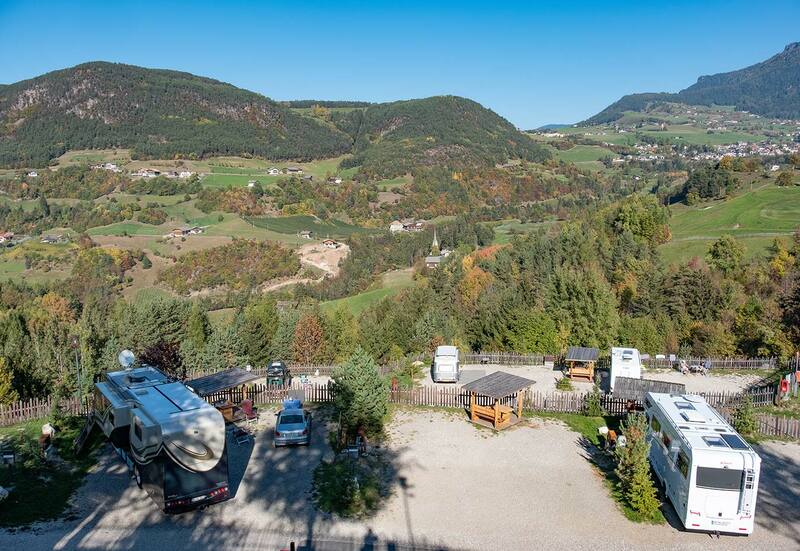 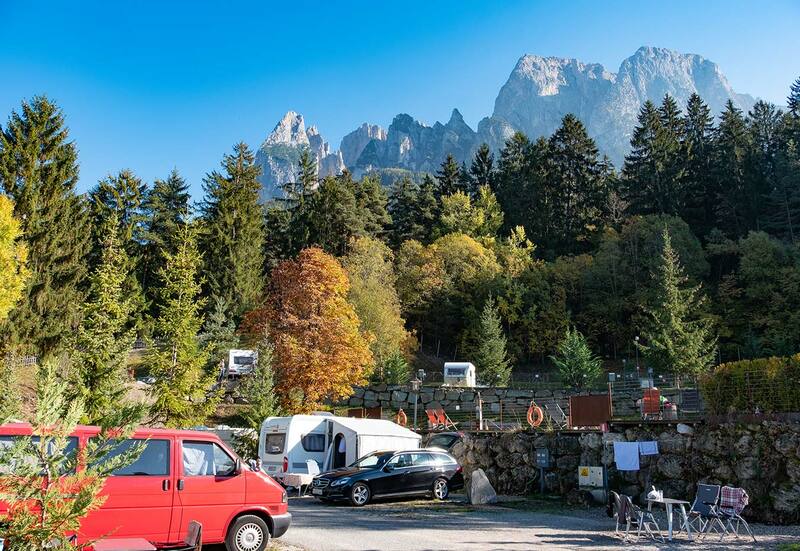 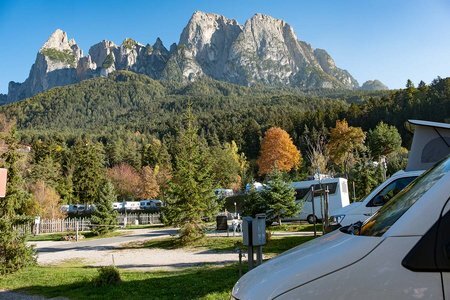 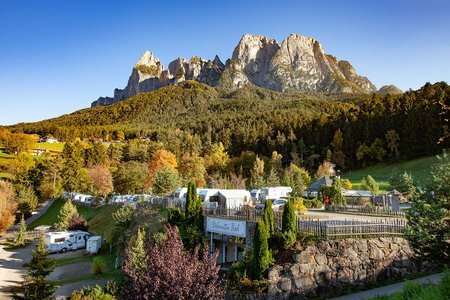 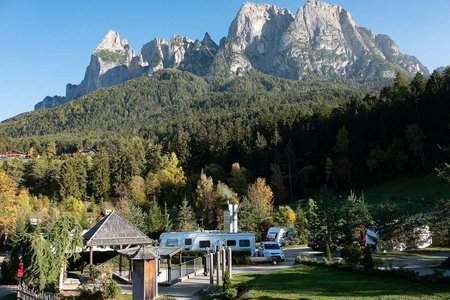 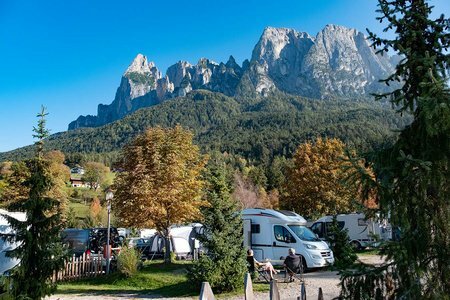 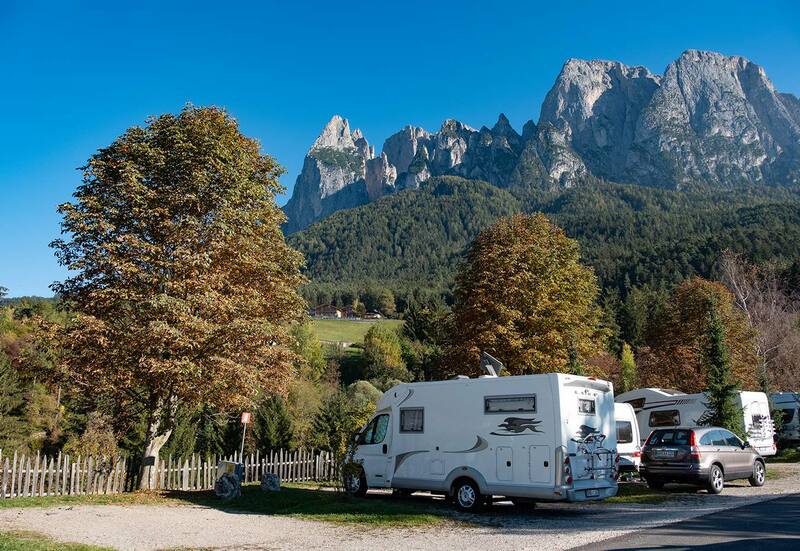 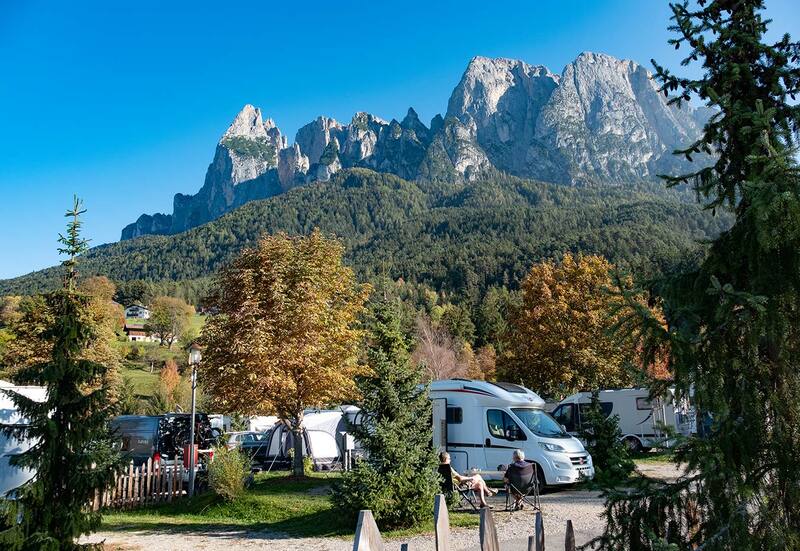 Camping Alpe di Siusi/Seiser Alm is without doubt one of the most impressive campsites in the Dolomites and Italy. 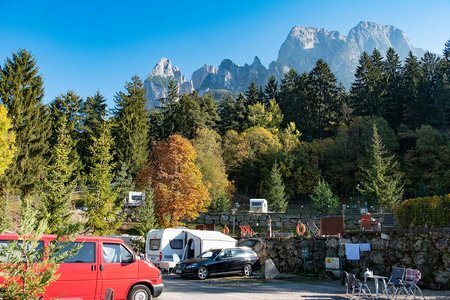 If you bring your own caravan or camping car, you can choose between different categories of comfortable pitches ( all with gravel base ! ). 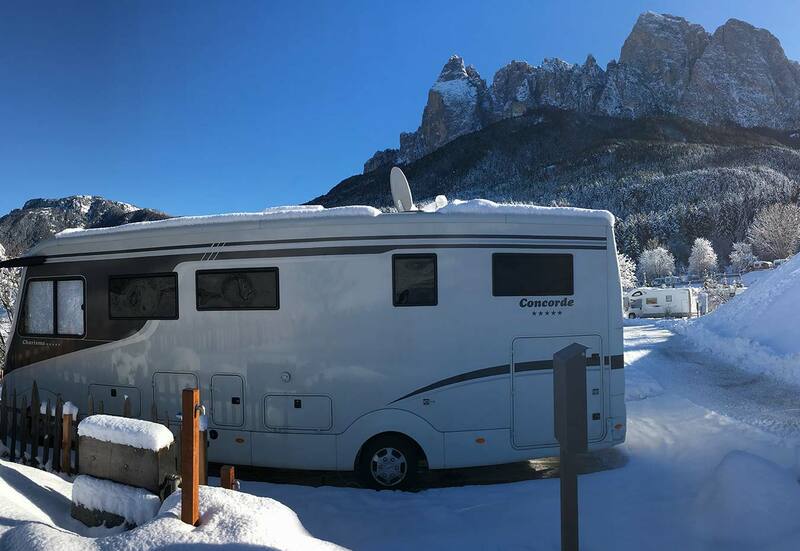 Comfort A pitches have a size of approx. 80 to 90 m² , Comfort B pitches cover 90 to 110 m², and Comfort C pitches cover 90 to 110 m². 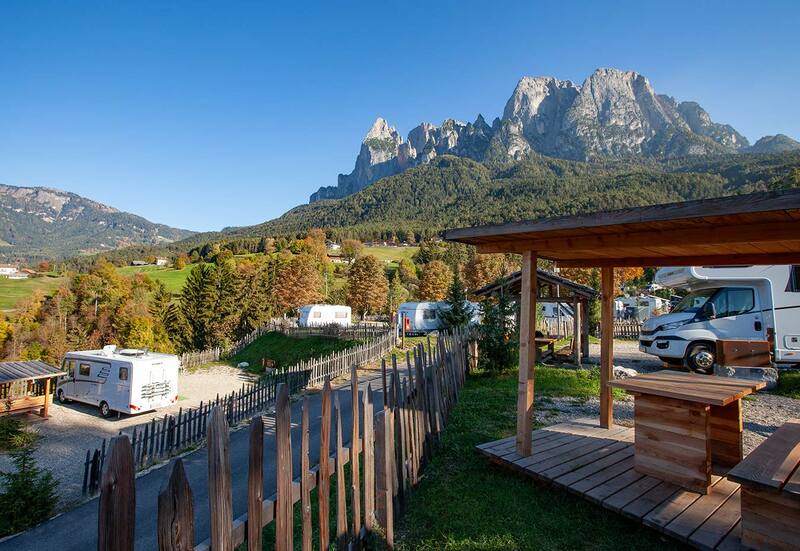 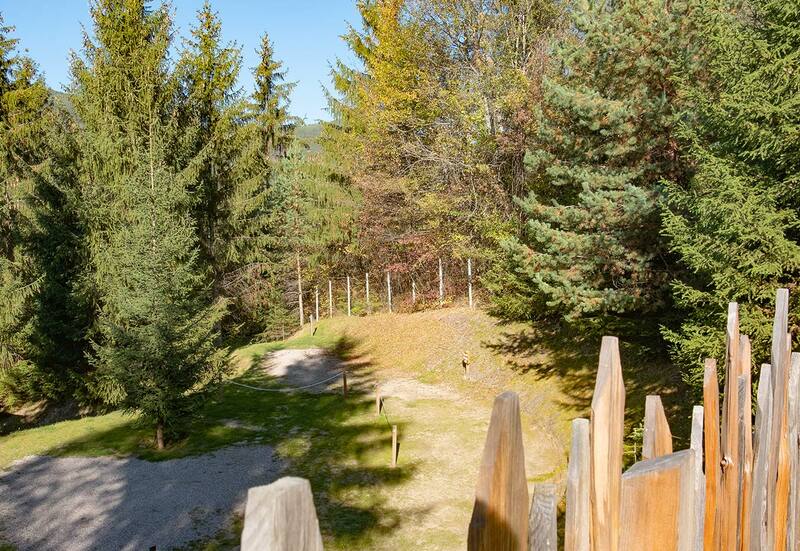 The Comfort C category pitches are located at the edge of the terrain and therefore they offer the most unrestricted view. 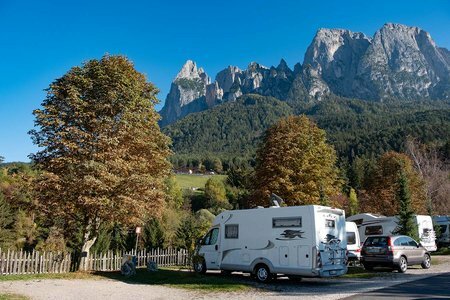 The Superior S pitches, on the other hand, have a size of approx. 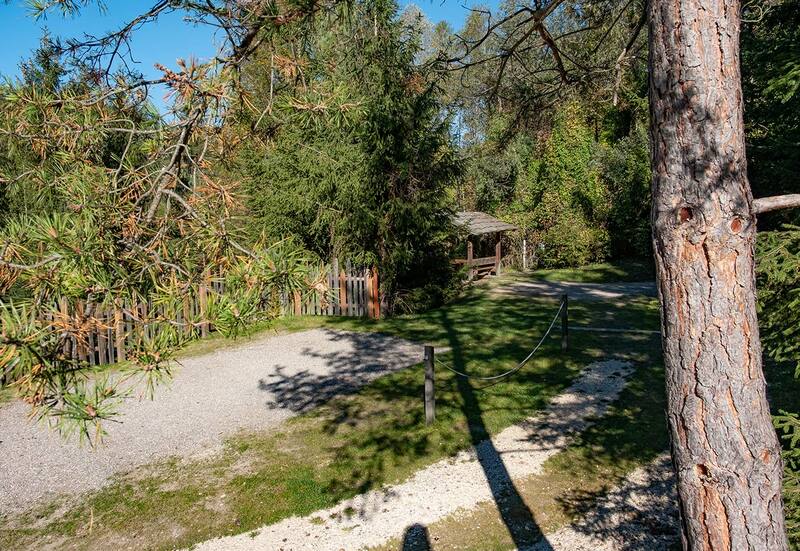 170 m². 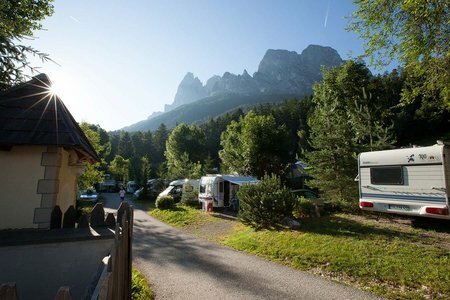 Most comfort pitches have access to fresh water and sewage water, TV, gas, power supply (16A) and WIFI Internet access. 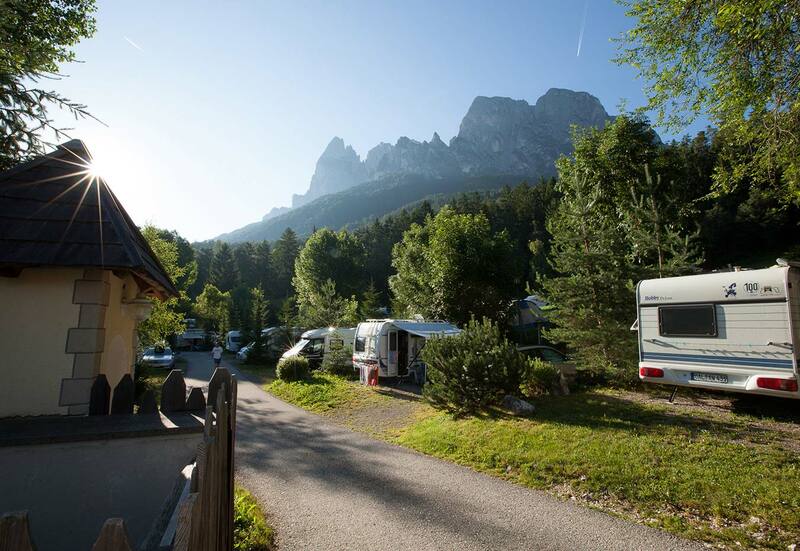 You can book (from 5 or 7 nights) your pitch category of choice already in advance, as well as your private bathroom. 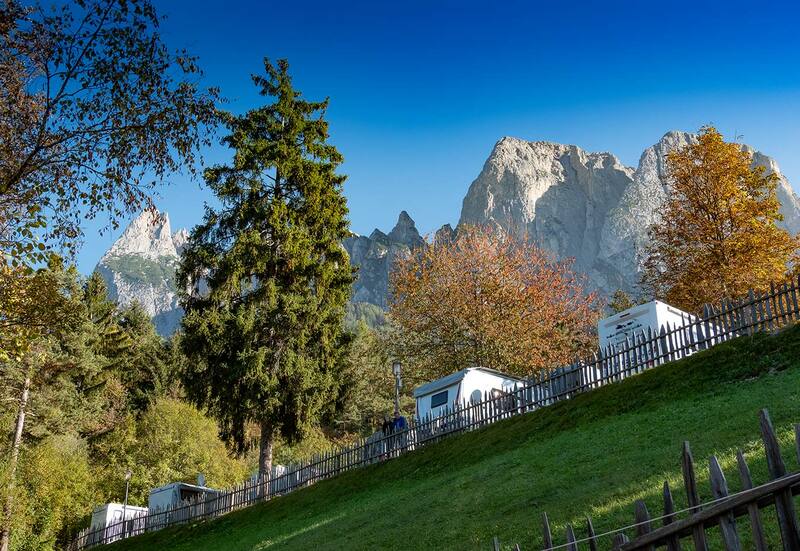 INFO: We recommend to book your private bathroom by booking your pitch. 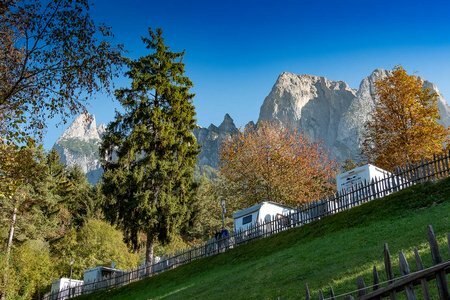 If you wish, we can clean your private bathroom every day for an extra charge. 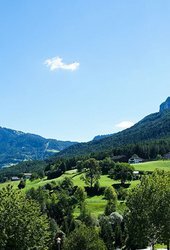 Sanitary articles are not supplied by us, but are available in the mini market. 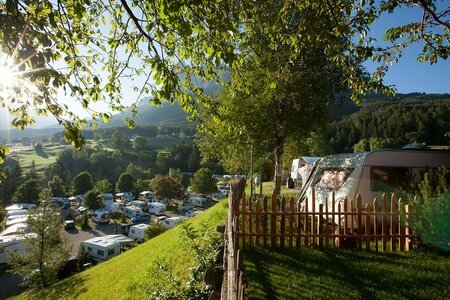 Pitch comfort Type A (70-85 m²) Electricity (220 Volt/16 A / CEE-Plug) TV, access to fresh water and sewage water, WIFI. 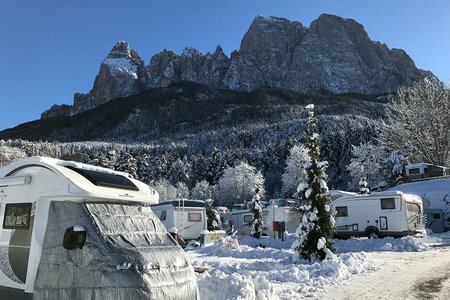 In winter no access to water - some with gas connection. 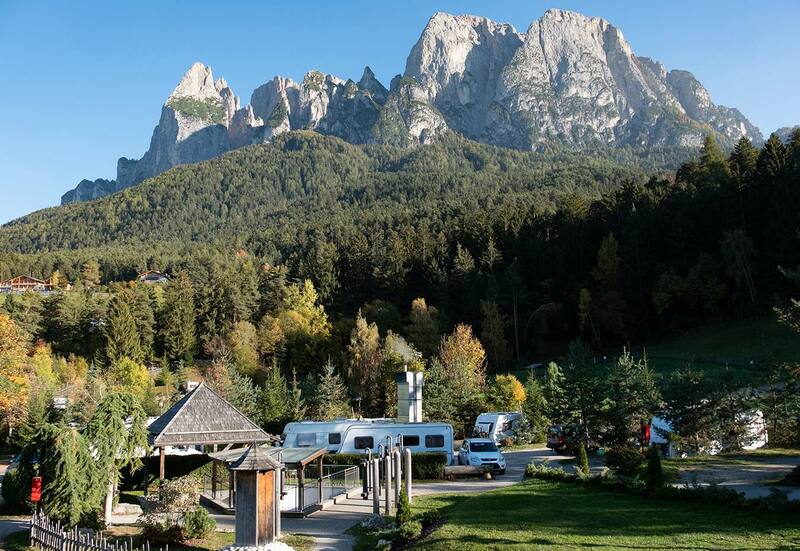 Pitch comfort Type B (80-95 m²) Electricity (220 Volt/16 A / CEE-Plug) TV, access to fresh water and sewage water, WIFI. Pitch comfort Type C - Panoramic (85-110 m²) Electricity (220 Volt/16 A / CEE-Plug) TV, access to fresh water and sewage water, WIFI. 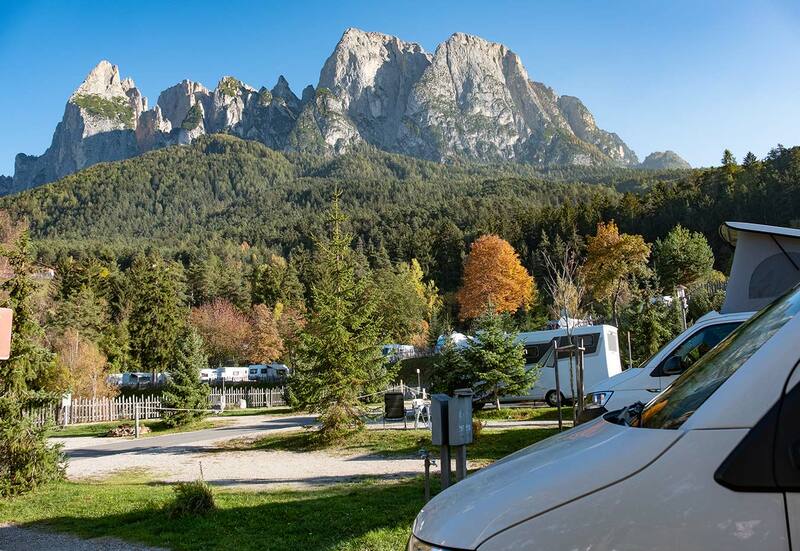 Pitch comfort Type S-Superior Panoramic (170-200 m²) with own comfortable sitting area, Electricity (220 Volt/16 A / CEE-Plug) TV, access to fresh water and sewage water, WIFI.